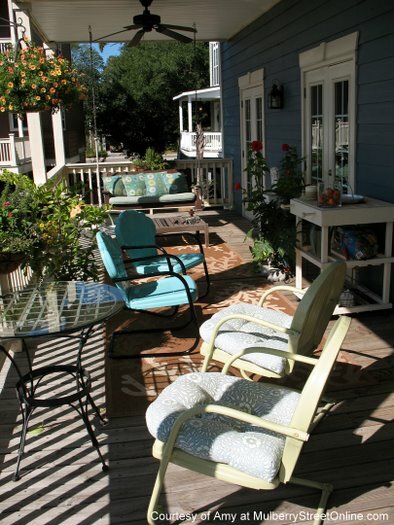 Back porch friends are the best and we have several wonderful back porches to share with you! 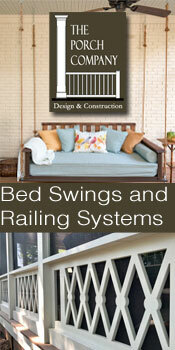 Back porches can be a bit more private than front porches because they are situated on the back away from the street. They can be a place where friends and family gather for special meals, barbecues, napping and even watching a football game or movie on a nice big screen. 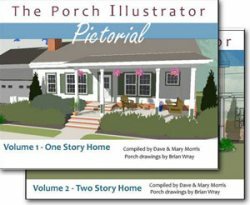 We think you will enjoy each of these back porches shared with us from several special readers! 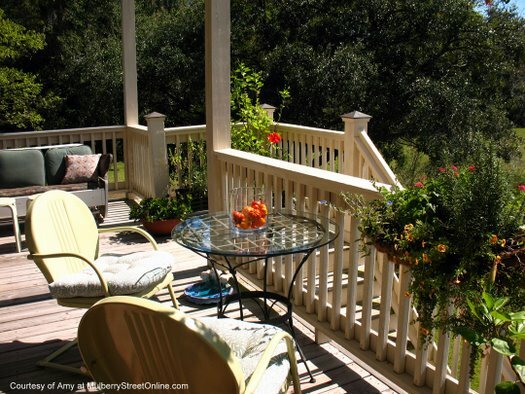 Wouldn't you love this kind of back porch? It's like having an extra room on your home. 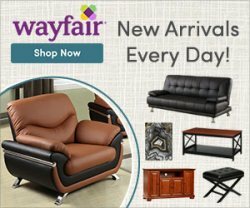 So comfortable and roomy with beautiful furnishings. We love her "Welcome to the Porch" sign. 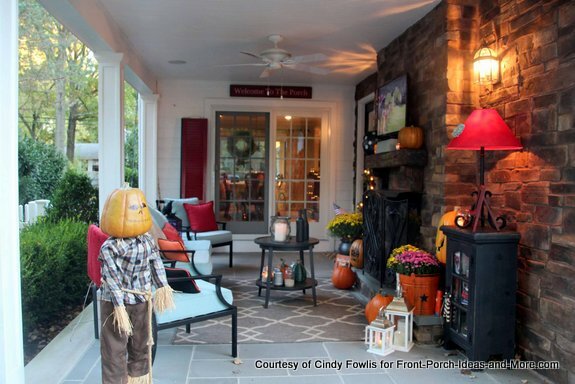 Cindy's porch measures 12 feet wide by 19 feet long. Nice and spacious! From another angle. Lovely! Warm and inviting. 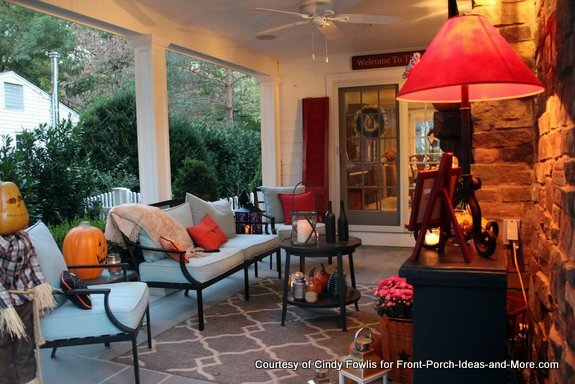 Another view of Cindy's porch. 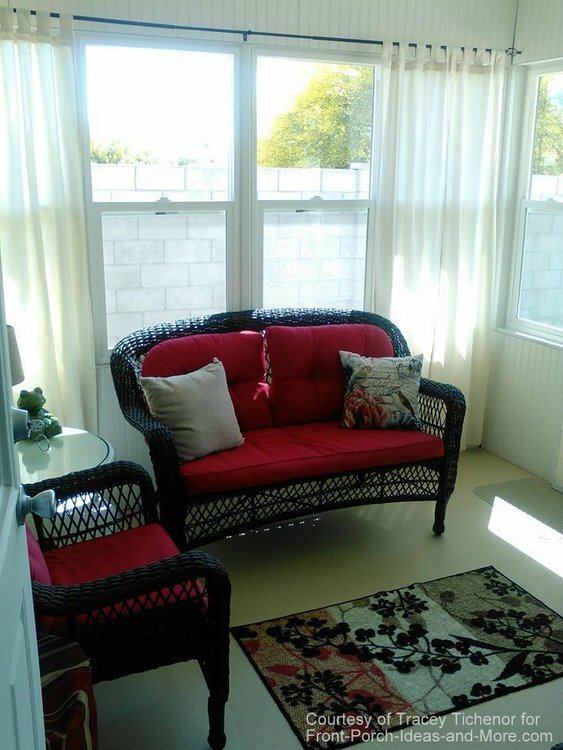 We like how comfortable it looks with lots of homey furnishings, soft pillows and a lovely patterned area rug. Such a nice place to enjoy the game or a movie. A perfect oasis for relaxing. 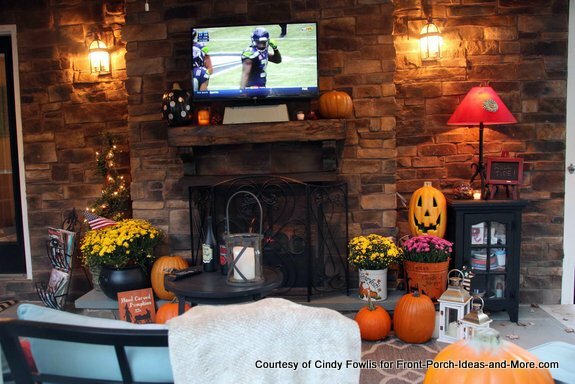 Cindy has her porch beautifully decorated for autumn. 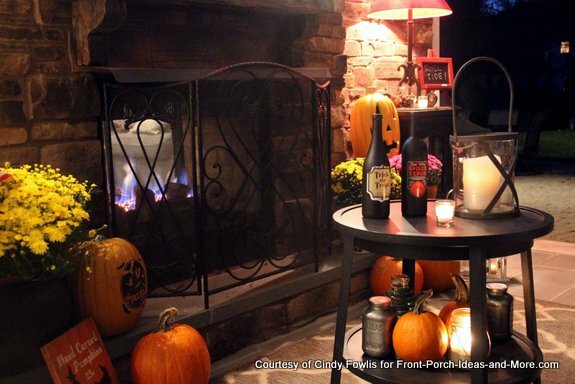 A close-up of Cindy's fireplace decorated with pumpkins and mums and candles and potions - and a roaring fire for chilly evenings. 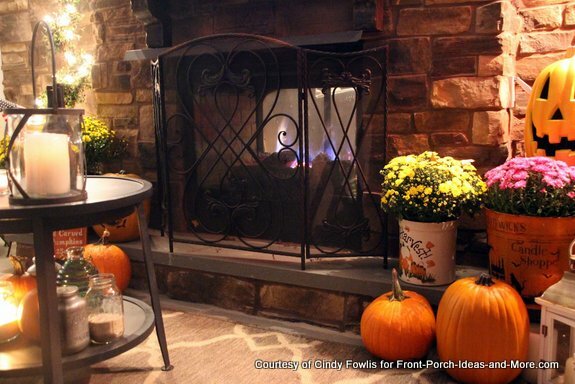 Cindy's fireplace is double-sided and goes into the family room. How nice is that! So beautifully decorated! We are most appreciative that Cindy shared her porch with us. 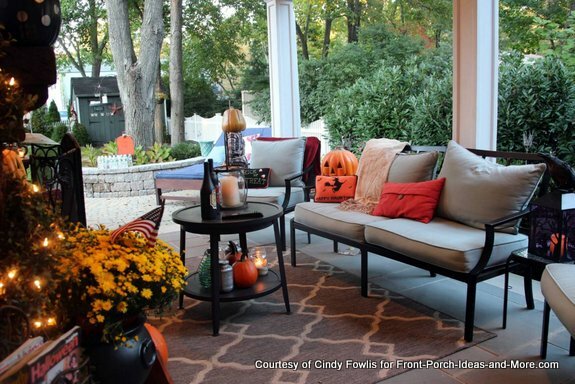 We'd love being back porch friends with Cindy! 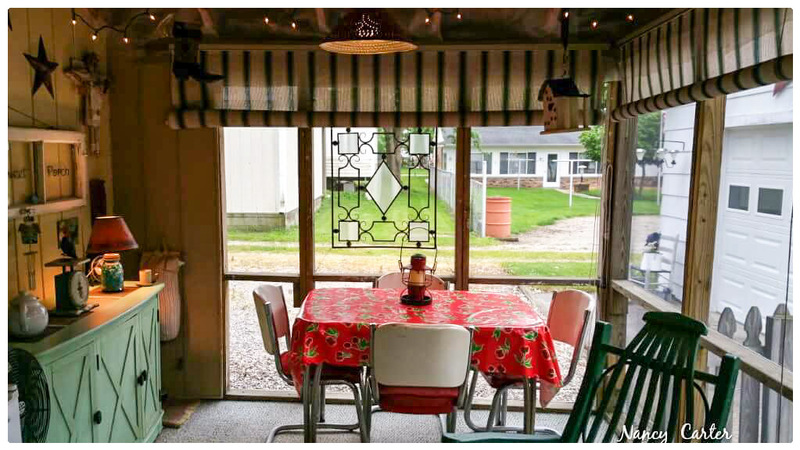 Nancy truly loves her back porch and we can see why. Looks like a most comfortable and enjoyable place to be for meals, playing cards and games - and just enjoying the company of family and friends. 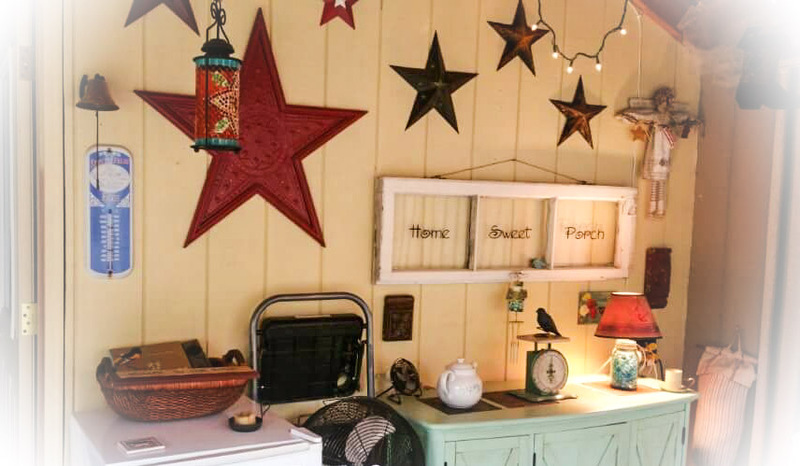 We really like how she decorated her porch wall with decorative Americana stars. Nancy's back porch looks like a cozy place for reading or other hobbies, too. 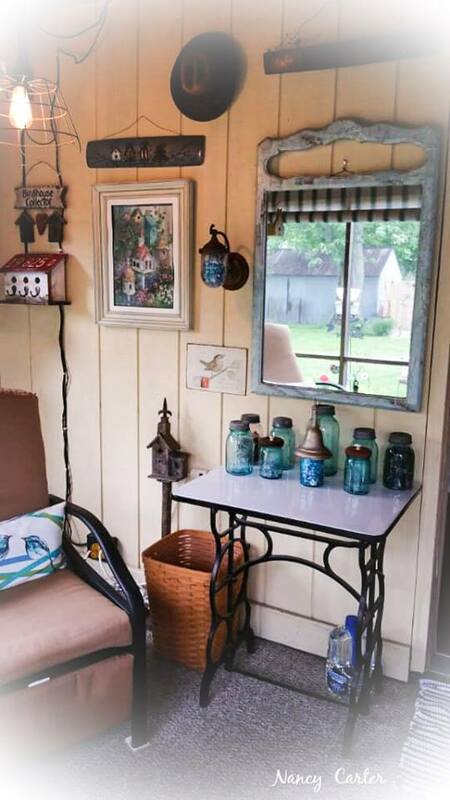 We love how she decorates her porch with collections and a touch of vintage! 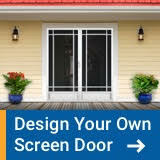 Do you suppose the back screen door squeaks a bit when it's opened and shut? Now that would be perfect. 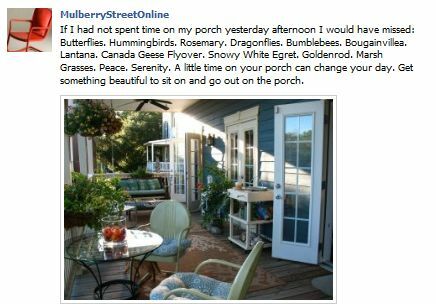 We would love to be back porch friends with Nancy and really appreciate her sharing her photos with us. We are so pleased that Yvonne shared her log home back porch with us. Can you just imagine day dreaming in that hammock? 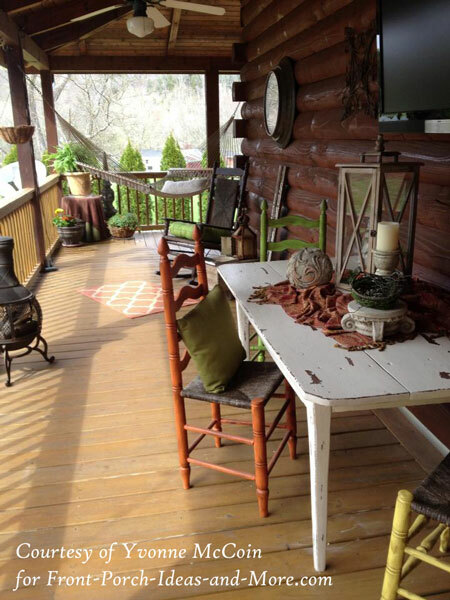 I know I could spend a day on her porch and have one of the most relaxing days ever. 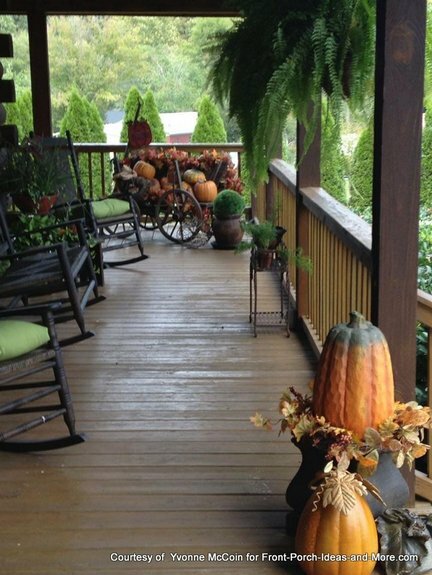 We love her dreamy log cabin porch and it's beautifully decorated for autumn. 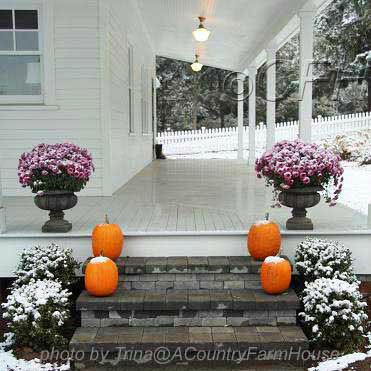 Look at that vintage wagon on the far end of her porch and how she filled it with autumn bounty. Lovely! 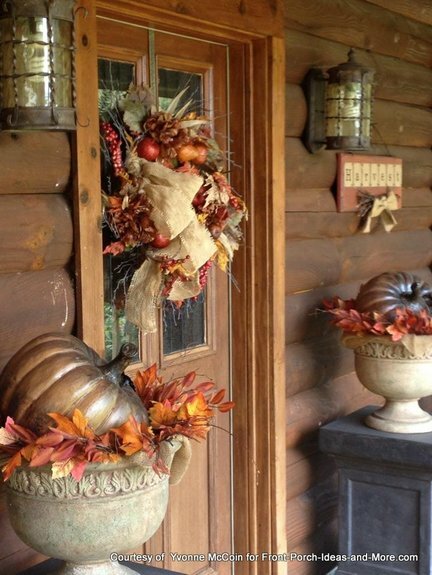 Yvonne dressed her front door for autumn. What a delightful way to greet family and friends. Want to see how Yvonne decorated her log porch for Christmas? It's beautiful - we promise! Thank you, Yvonne! Dawn enjoys spending time with her girlie on her back porch. And she is a very talented at crochet, too. 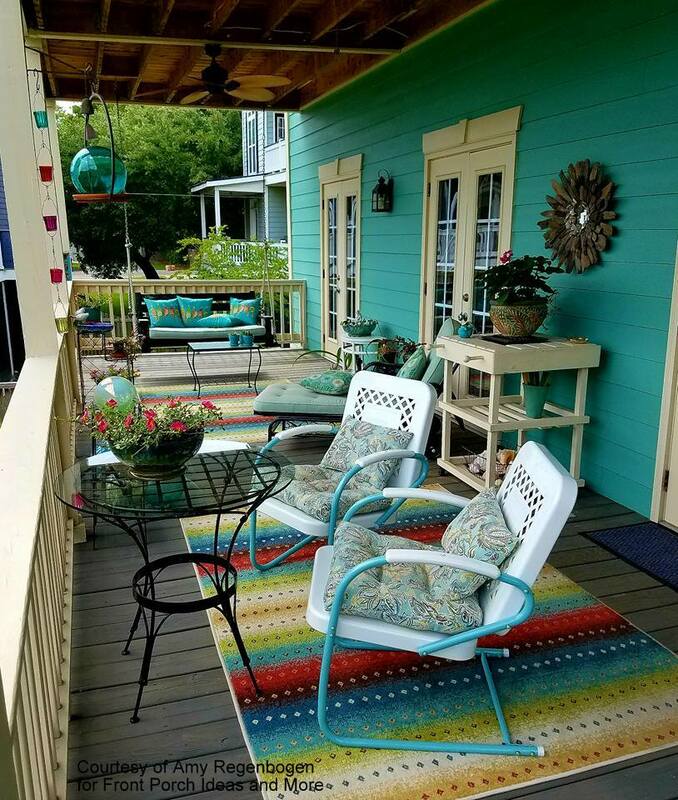 Who wouldn't love this back porch? 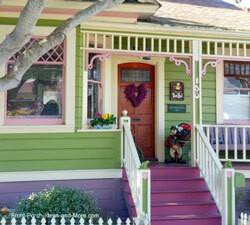 You can see more of her porch on our Decorating with Red Porch page. 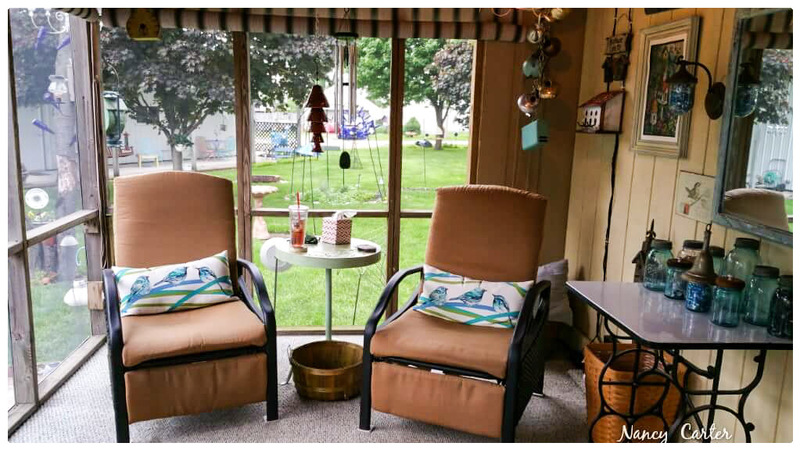 We are so honored that Amy gave us a newer photo of her back porch and - oh my! It's so lovely and serene! Look at those beautiful vintage metal chairs (which Amy's company restores). 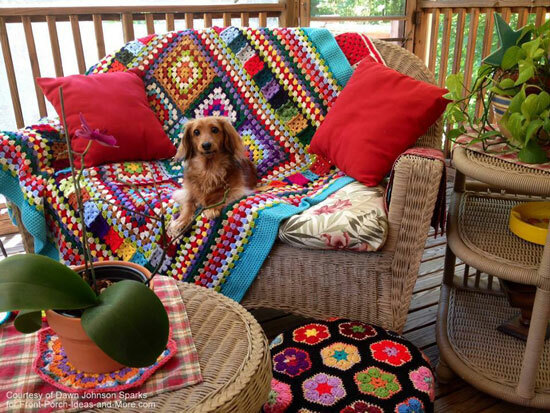 Read on please to learn more about Amy and the love she has for her back porch. 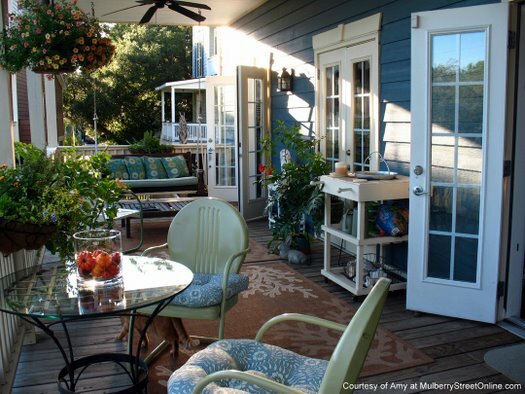 Amy: "Our porches are integral living spaces for us and our friends and family, day and night. We often just leave the door open to facilitate going in and out. 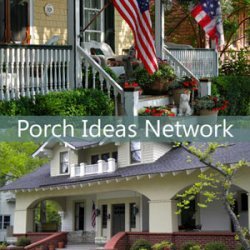 "My husband and I go out on our porch to catch up with each other at the end of the day. It provides peace and quiet and a connection with nature that is very calming in our lives. 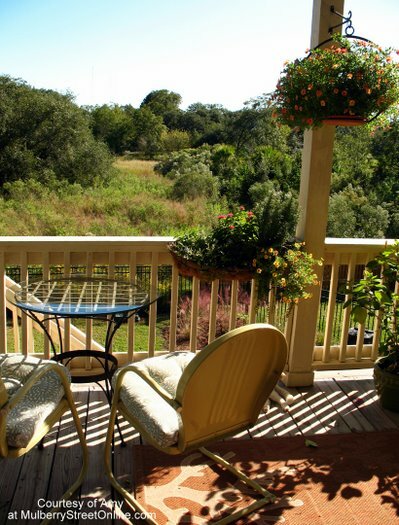 We also often have meals at our outdoor table while enjoying the view of the marsh and our vintage porch furniture." Amy: "We knew we needed a house with a nice porch because I preach porch living and use my porches for photography of my restored vintage furniture for MulberryStreetOnline, but we had no idea what a difference it would make in our lives. We feel so fortunate to see the sunset every evening, to feel the breeze from the marsh and the river and to witness the beautiful parade Mother Nature provides each and every day. 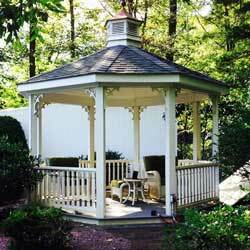 Amy: "Of course, I have my restored vintage lawn furniture on our porches. 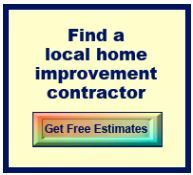 We love it so much and use it every day." We spy those twin aqua vintage metal chairs. Ooooh! Amy: "I have stayed with a color palette of all the blues and greens that I love. I never hesitate to mix just about any hues of blue and green. "The various shades remind me of the water. I choose my plants and outdoor rugs to complement the blues. I usually look for salmons, yellows and oranges, except for my red hibiscus which I just can't resist." 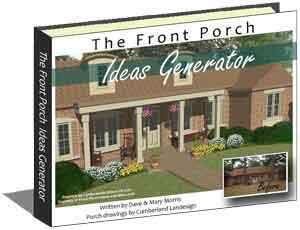 Somehow, by using all the things I love, everything just comes together to create a porch we love and enjoy." Another view of Amy's table and chairs - we bet many serene moments are spent here. 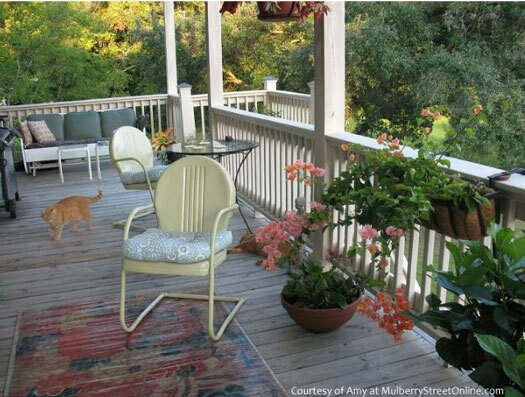 Amy says, "Time on my porch, my glider, my morning coffee, my cats, the serenity of the marsh... I'd like to share it with every one of you." 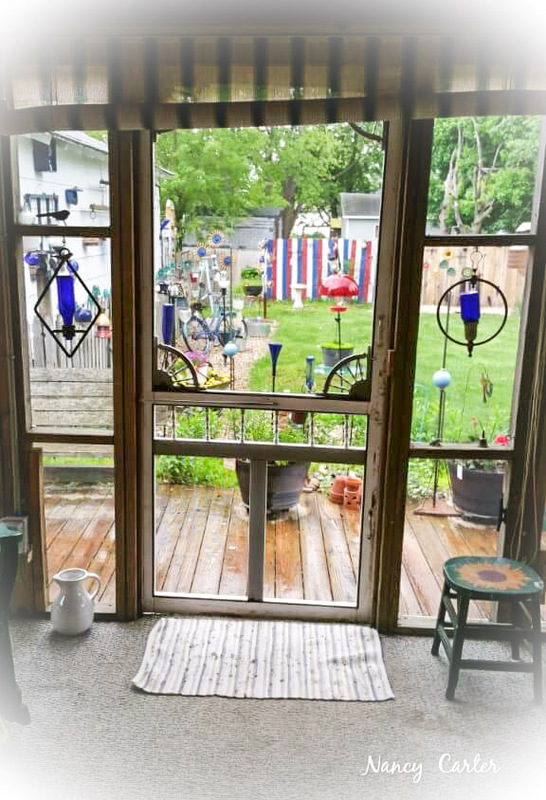 Amy's outdoor sculpture started life as an insert in a vintage screen door. And look what she made of it! Amy is the friendly owner of MulberryStreetOnline.com where she lovingly restores vintage metal furniture into pieces that you can enjoy today. 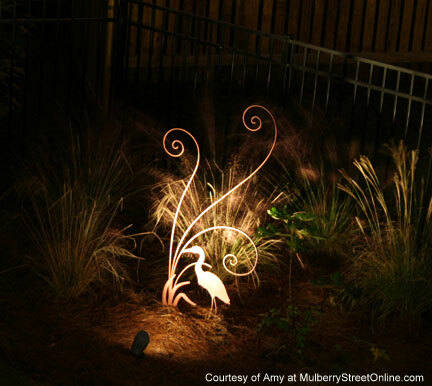 Visit MulberryStreetOnline to see Amy's work up close and personal. You'll be taken back into time! We thank Amy for sharing her porch with us. We'd enjoy being back porch friends with Amy and her husband. Isn't this a nice place for a good book or just resting your weary self? 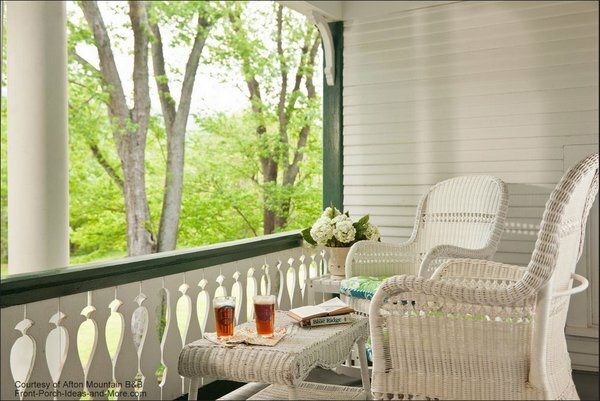 You can find this beautiful back porch at Afton Mountain B and B in Afton, VA.
What a nice getaway in Blue Ridge Mountain area. And they have a rocking chair front porch, too. Tracey used to be one of my co-workers and if she lived nearby, I am sure we'd enjoy being back porch friends. Her patterned rug pulls everything together so well! What a sweet pillow on her wicker bench. 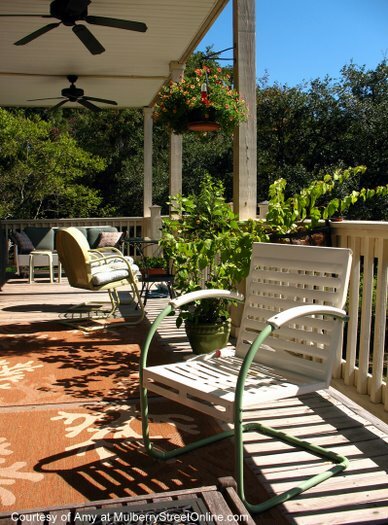 A back porch adds beauty to your home. It often turns out to be a special place where family and neighbors spend time and share meals together. 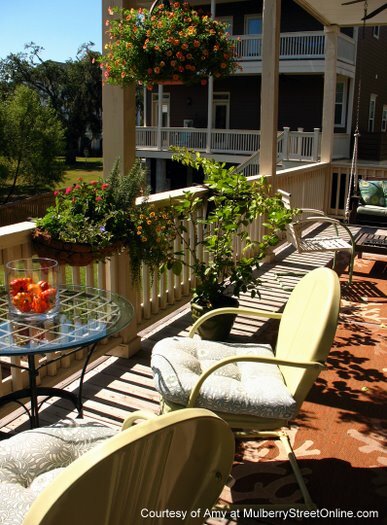 Traditionally, a back porch is where you might have an outdoor kitchen or a festive grilling area. 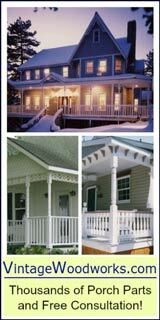 Some homes have screened porches on the back, too. Dave and I remember how much we enjoyed our screened back porch when we lived in Nebraska in the 90's. We spent many an evening out there with friends and family. It was our very favorite part of our home. Our kids were teens at the time and they enjoyed having friends over to spend time on the porch. Make a few back porch friends to spice your life!